Abrams announced an end to principal photography Friday on the still-untitled final episode of the trilogy. 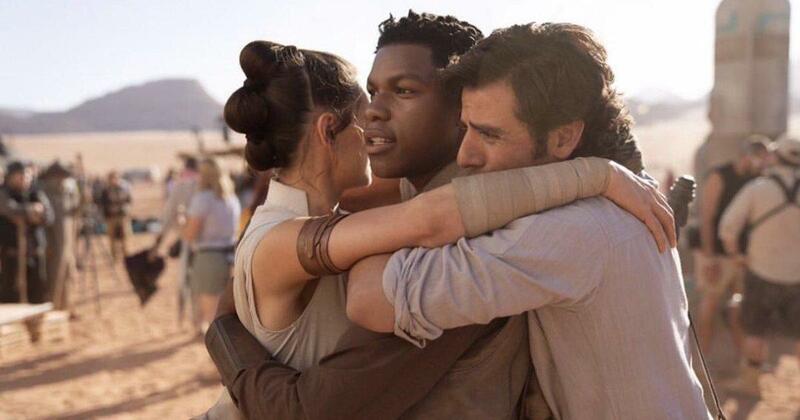 The image features actors Daisy Ridley, John Boyega and Oscar Isaac hugging each other in costume on a desert set. The image doesn’t provide many spoilers for the film, but fans are already picking up on small details. The stars are embracing in a desert environment, which could possibly be Jakku — where Rey is from and where she first met Finn — or Tatooine, Luke Skywalker’s home planet, which hasn’t yet appeared in the trilogy. “Star Wars” fans flocked to Twitter to share their excitement for the new film and their sadness for the end of an era. Of course, some fans are hoping to spot a surprise appearance from Mark Hamill — who played Luke Skywalker — somewhere in the background. Many noted the similarities between the photo and a cast photo from the original trilogy featuring Hamill, Carrie Fisher and Harrison Ford. Mostly, the photo left fans with plenty of questions, many of which won’t be answered until the film’s release in December 2019.